One of our favourite parts of Got Craft? is the round up of DIY workshops available at the show. In case you missed the full schedule in the spring look book (see page 5), we are sharing it here with you! All workshops are drop-in and free unless noted. Supplies included. 10:00-12:00pm :: Join author Leanne Prain for a stitching workshop and learn how to create your own spring showers stowaway. Using basting techniques and the running stitch on craft felt and ribbon, participants can choose to make their clouds look light and fluffy, or darm and stormy. 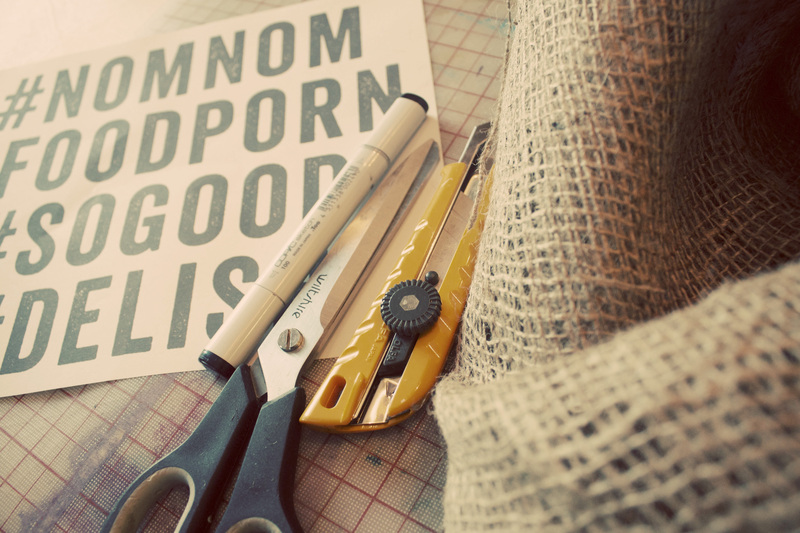 12:30-2:30pm :: Heirloom Magazine will show you how to create your own burlap placemat, hand-painted and personalized with custom-designed stencils, specially made for this workshop with vintage lettering and patterns. 3:00-5:00pm :: Beginner needle felting with Honey Canada. Spaces still available! See post here for cost and to register! 10:00-5:00pm :: Learn basic knitting skills with the ladies from Knit Social. 12:30-2:30pm :: Hosted by the Wedding Workshop, you will learn how to make an adorable paper windmill in a few easy steps. Just in time for the approaching spring weather! 3:00-5:00pm :: Letterpress with Sam Bradd – workshop is sold out! 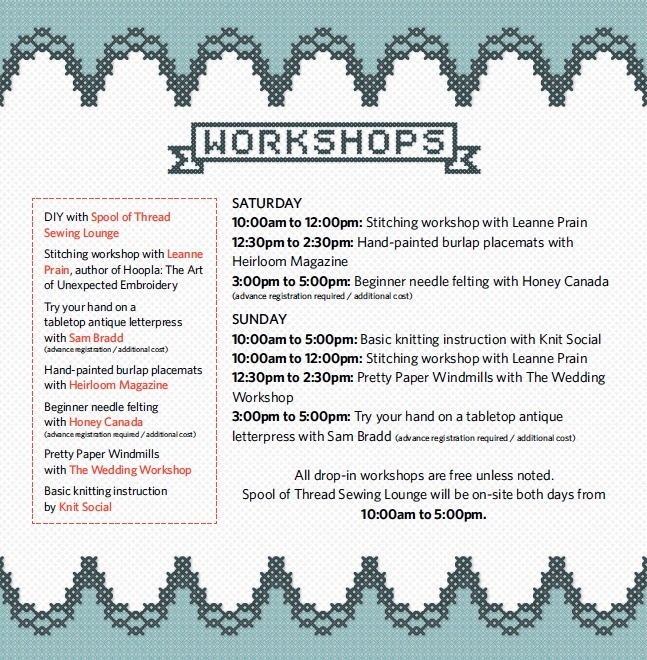 Spool of Thread sewing lounge will be hosting a DIY workshop on both the Saturday and Sunday from 10-5pm. See here for more about their sewing project!